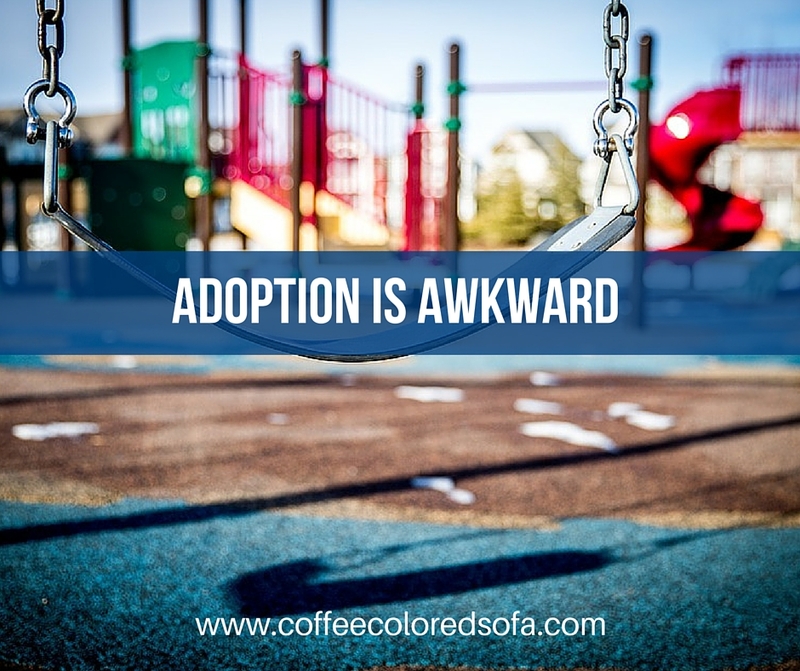 Awkwardness in Adoption is the exact reason I started writing. No matter how diligently we prepared to bring our children home, one barrier could not be removed: Our sons didn’t know us as parents and we didn’t know them as sons. And we were only going to be family because they had lost their first family. Adoption is born out of loss. Our children are beautiful. We are becoming a beautiful family and we love each other. The contrasts in the above statements are complex and uncomfortable. It’s no wonder adoption is awkward. At times, I still do. It took me years to begin to understand my children were mostly communicating through their behavior. Even though their behavior was often alarming to me and even dangerous to them and to those around them, it was the only way I could begin to understand how they were feeling and what they were thinking. Their behavior was a gift and as I finally began to respond appropriately and empathetically, my children became less stressed and began to learn skills they needed to thrive in their new environment. Unfortunately, we failed consistently for the better part of a year. As behaviors alarmed us, we became slaves to fear. Eventually, anger informed most of our interactions with our children. We didn’t understand. Their schools didn’t understand. Sunday School didn’t understand. And the adult responses to my children’s behavior told them clearly that they weren’t good enough for any of us. Even as I consider how much better life is these days, I wonder how often my children are misunderstood today. Their experiences have been complicated. I long to be a good listener and I long for my children to be understood. When they’re understood, they are accepted and loved. Because my children are inherently lovely. In my spare time, I was attempting to fix things that were constantly being shattered and smashed while hoping we wouldn’t be evicted from our apartment due to the noise, chaos, and broken stuff. When you do the math, you realize I was often holding a scared child, while on hold with the school district, and drafting an email to my children’s former caregivers. After our children went to sleep, Matt and I would unearth the power tools and fix stuff until we finally fell asleep. Matt would then wake at 3:45 am, daily, to rock our most scared child when he would wake up trembling. All the while, my phone was ringing nonstop with people - genuinely excited about our children- who wanted to get together for play dates. And the pastor’s wife wondering when I would return to lead the Children’s Ministry. While it’s good to realize some people will refuse to acknowledge depth and hardship, if I were to do it again I would prepare a concise letter with documentation and cited sources to describe our expectations of becoming a family. I might even ask for feedback as it would have been helpful to have at least known whom would have the ability to process the information and respond in a way that made our relationship a safe one to continue in. Please do remember this, friends: Your loved ones are making up for months and years of lost time with their new child. Their children need their new parents as a newborn, a toddler, and an elementary school child- often all at the same time. Your friends are struggling to meet these complex needs. They cry tears over their child’s losses and they wonder if they’ve done the right thing by bringing their child home. They don’t even know if they can meet a small percentage of this precious human being’s intense needs. Your friend may not have the ability to answer her phone. She may not have the ability to shower once weekly. She likely can’t invite you into her house as her child still does not understand whom his new family is made up of. She will be grateful for every meal, bag of groceries, or jug of milk you drop off on her porch. Your handwritten notes of encouragement are priceless to her. Your ability to listen to her unique challenges without judgment is a rare find. I want to be clear, I’m not angry about the awkwardness of adoption. However, I do want to expose it. The more our families are known, the less isolated we feel. The less isolated we feel, the better we love our children. The more our families are understood, the more our children are accepted and the more others begin to empathize with their unique struggles and love them where they’re at. And due to the misunderstandings and awkwardness around adoption, they are often judged unfairly. Beautifully written. More adoptive parents need to be honest with their friends, family and community about the reality of adoption. Especially the transition period which could be the first year or two. Everyone can't keep saying "Everything's great!" when it's not. It doesn't make you a bad parent to have difficulties connecting with your child. Or to have difficulties disciplining your child. There are people out there who genuinely care about us and want to be there for us. We need to let them into our little world and see this beautiful and yet messy life that is adoption. Thank you for sharing your story with the world. Thank you for this meaningful comment! You are correct. I do think the main barrier between us and community has been the fact that we've ever learning what our children need as they go. We're also learning how to parent them. We're so overwhelmed and over five years in, we still aren't certain what we need to communicate to friends so our children will be safe and their stories are protected. This blog is helping me sort through it all. Thank you again for visiting and joining the conversation! 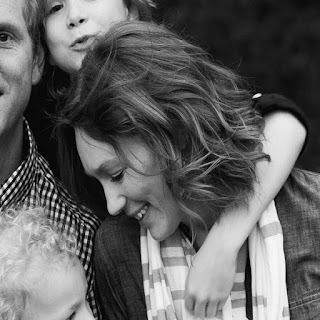 There is so much in this post for adoptive parents and for the community that surrounds them. This especially will stay with me: "When they’re understood, they are accepted and loved." Although I know this, I also have a ways to go to really KNOW and consistently DO this. I'm right there with you, Lori. Understanding my children takes way more energy than I ever imagined it could. But it's always worth it. You basically described our life during the first year with our three kiddos. It was exhausting, heart wrenching, and tear producing all at the same time. I am thankful for learning the importance of empathy when addressing my children. What an amazing change is has produced. Thank you for connecting, Kelly! Looking back, it's crazy to me that I had to attend professional trainings to learn how to empathize with my children from hard places. I'm SO glad I did though. Life changing. Thank you for connecting! Being misunderstood was a completely new feeling I had to get used to as an adoptive parent. Communicating is kind of my thing. However, adoption is awkward. (Have I said that enough?) My children need to be protected while my world is being rocked and I have to learn ways to communicate while respecting my extremely complicated family. Thanks again for joining the conversation. Community it so good. I love this article. I'm a foster mom, and my daughter and son-in-law just got their first foster-to-adopt placement a month or so ago. Their son is two years old, and seems to be bonding well, but it's not an easy road in some ways. Thanks for helping to educate the people around us who don't always get it. Thanks for connecting, Julia! Each road is so different, and yet- I think- most (if not all) foster/foster-to-adopt situations are complex and (at times) uncomfortable. How exciting for your daughter and son-in-law to have YOU there for them. What a truly amazing gift!!! Here is a BRILLIANT blog post. Thank you so much for sharing! My wife and I adopted 4 children 8 months ago and have experienced EVERYTHING you describe down to the slightest detail. Thank you for capturing this so eloquently, and keep up the great work! Hi Joel, My husband has read your comment several times. I have too, but he's still amazed that your experience is so similar- except- with twice as many children! Best to you, your wife, and your four beautiful children. I'm sure all six of you are working hard to understand each other. There's probably weariness involved for all of you. This journey can be so unnatural. Empathy is always worth it...wish we had been were you are now when we were only eight months in. What resources can you suggest for us to help with tantrums and separation anxiety. We really want to make sure we do all we can to help him cope and work through what ever is needed. Thank you!! Thanks so much for commenting, Jamie. I'm only a mom, so I'm not qualified to offer professional advice. Also, I don't know your child. With my children, I've had to learn to observe them and see what helps them emotionally regulate and give them all the support I know how to so they can remain regulated. Giving them a highly predictable routine has been key. We've maintained the same schedule for years. My children have learned whenever there is a change in our schedule, it's because we've a special surprise for them (which means we have to make doctor's appointments "special"). As we remain calm, they do better. That's about all I can tell you from our experience. I wrote more extensively on what has helped our children here: http://www.coffeecoloredsofa.com/2016/03/empathy-and-adoption-what-we-can-do.html Best to you, Jamie. It takes so much time and repetition to build trust. Superb post that captures so much of the reality & challenges of adopting which most of the world is clueless about because they're lost in the fairy tale that adoptees switch from bio to adoptive families as easily as we change seasonal wardrobes. Love the reminder of the important of educating friends and family ahead of time so parents can know who's truly supportive and who is not. Thanks for sharing! What a fitting illustration, Gayle. Thank you for connecting! Thanks, friend for another great post! I entering into a new season of grief for our youngest as he enters a developmental stage where he wants to be more social but social for him just has to be different than most others his age. From first glance, he seems so "normal" but, you know, mamas know different and best. Such a hard balance when the world just doesn't always understand and you don't want to the first conversation with the new friend's mom to be so AWKWARD. I completely hear you, friend! Seriously, I've been humbled enough on this journey to finally begin to learn when not to ask questions and trust that my friend knows her child better than I do. Constantly having my judgment called into question is definitely awkward (and, at times, maddening). Yes. With tears in my eyes yes. And it sometimes continues or even pops up now and again. All your words are what I needed to read today!